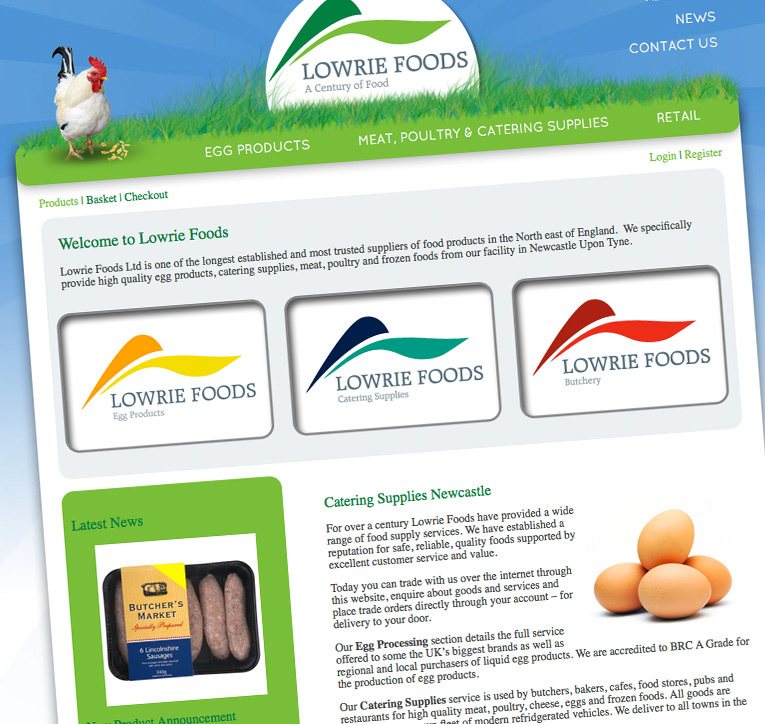 Lowrie Foods are a leading distributor of food and catering supplies throughout the North of England. We supply butchers, Bakers, Cafes, Food stores, Pubs and Restaurants with Meat, Poultry, Cheese, Eggs and frozen foods. Product our product lines are carefully selected to provide the best combination of taste, quality, safety, and value, to allow you to run your business successfully. We source products from carefully selected suppliers, who have proved their ability to maintain the highest of standards. 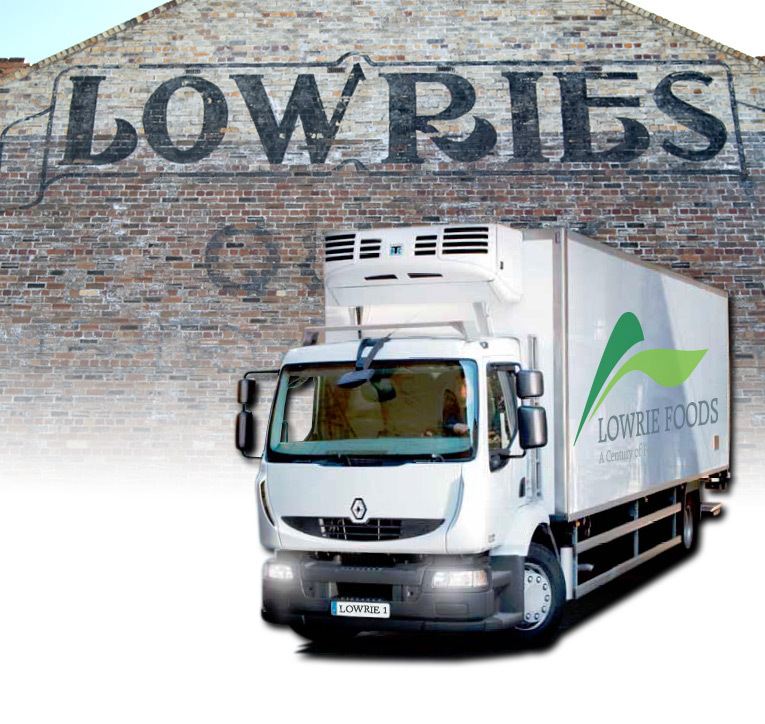 We deliver all orders in our own refrigerated vehicles with our own staff, so that our customer care can be maintained right to your door. Our fleet of 7 modern trucks and 2 vans cover all major centres of the north east every day, and provide a regular delivery service between Glasgow and Bradford. All of the products we hold are available for collection from our warehouse in Byker, Newcastle Upon Tyne. This is open to anyone, you do not need an account to purchase from the warehouse. Please be aware of the pack sizes on products. You can place orders online with a trade account. You do not pay online. We invoice all trade accounts and offer payment options that include direct payments to the driver, credit/debit card payments by telephone or you may wish to apply for a full trade credit account. 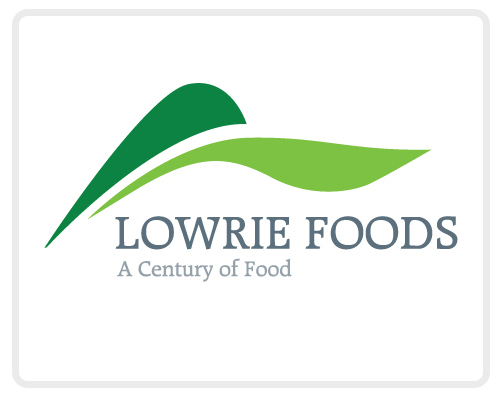 Lowrie Foods provide a full range of catering food supplies to many of the businesses across the North East and England. You can view a full catalogue of the products we stock below. You can register for a trade account with Lowrie Foods here.